Are you looking for the best LED Grow Lights for your vegetables, flowers or even Cannabis? Well, our review will help you make the best choice to facilitate the growth of these plants. When you have an LED grow light, you can grow indoors plants all year round as they will provide all the necessary light requirements. For the past few years, these lights have become very popular and many people have started embracing them especially for the growth of plants or Cannabis. Why use led grow lights? The LED lights are more powerful and produces more light when compared to HID or fluorescent lighting. These lights remain cool and use a sensible amount of electricity. Furthermore, they have built-in small fans which means that you don’t need extra ventilation to maintain them unless in a peculiar circumstance. Using these lights provides you with the potential to produce higher yields all year round. 1 Why use led grow lights? 3 How to select the best LED Grow Lights? 3.2 Use for small spaces or big spaces? 3.4 Low wattage grow lights or high? 3.6 Do you need best full spectrum led grow lights? 3.7 Best led grow lights for the money! 4.2 How long do led grow lights last? 6 How to use LED Grow Lights? Current LED’s are more powerful when compared to those with present to 10 years ago. This because LED manufacturers have advanced these devices by creating lights with more spectrum, and introduction of specialized lenses. These features increase penetration of the light to the plants leading to greener, healthier and higher yields. In this review, we clearly guide you on how to make the best choice for fresh plants like vegetables, flowers or as well marijuana. How to select the best LED Grow Lights? The moment you decide to pick the top LED lights, you must have some very pressing requirements in mind. Below are some of the factors to consider when you go looking for the Led grow light of your preference. Type of plants – every plant has its own requirements. When you look for an LED light, be in a position to know the needs of your plant/s. Flowers need different light from that required by vegetables. Use for small spaces or big spaces? The space you have to cover – the space you want to cover should be greatly considered. If you know this, you can easily determine how many LED lights you will need for your indoor plants. For instance, an LED light with wattages of around 250 can cover approximately 5-6 square feet. The different light wavelengths you need – it’s advisable to think of the wavelength that your plants will need in their growth position. Pay attention on picking an LED grow light with the specific wavelength that you need for your plants. There are different spectrum’s to select from with full spectrum available at a high cost. Choose wisely in accordance to the season you’ve created the plant. Low wattage grow lights or high? The wattage you plants need – know what watt your plants need to grow well. The minimum wattage recommended per sq. ft is 30 wattages, while the optimum range lies between 50 and 60 wattage. The angle of the LED lens – This is the angle of dispersion within the LED lights. If the LED light has a greater angle, this means it covers a broad area and a lesser angle means it covers a small area. When it comes to value, a higher value means little directed supply of light in targeting of the plant while a lower value provides you better plant targeting. Do you need best full spectrum led grow lights? Different stages of the plant growth you have to treat – before acquiring an LED grow light, know the growth stages of the plant you require to treat. A full LED spectrum is ideal for a full growth cycle. As well, it’s recommended to purchase an LED light with both UV and IR in it. 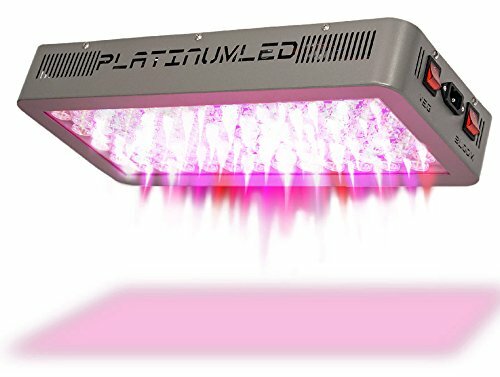 Best led grow lights for the money! What’s your budget? – The LED lights come at a higher price than the mid-range or low quality ones. If you want to fully benefit and grow plants well, go for an LED light with great features ad full spectrum for efficiency. But as well, you can find on budget LED grow lights that perform well. Warranty – a product without a warranty should not even be thought of as being quality. The manufacturer should be able to provide warranty to show that they are every confident of their product. So, check an LED grow light with a warranty of more than 2 years. Why we should use the led lights not other lights? Compact design and easy to set up – Unlike HID lighting which needs reflectors and funs in order to run effectively, the LED grow light doesn’t need this. The LED lights have their own fu and are compact in size. They can be easily installed and don’t require air conditioning like HID lighting. Their design and size means that they don’t take much space when installed. How long do led grow lights last? Very durable and long lasting – LED lights have a long life spun unlike the traditional lights. They can run between 50, 000 to 100,000 hours before they become ineffective. This is a very long period of time that can assure you great results and no need of changing them regularly. Energy efficient – when you use LED lights, expect to save a great deal of electricity. HID lighting use lots of energy to create, and though it’s brighter the electricity consumed is higher when compared to LED lights. Save on electricity bills by using LED lights. Light spectrum optimization – LED lights gives you the freedom to change the light spectrum with regard to the season your plants are experiencing. Thus, you can concentrate light in a particular area and the ideal light needed. Don’t need extra ventilation – these lights come with their own fans and dot need ventilation set up like HID lighting. As well, they don’t emit a lot of heat and this saves you on cost. Cool functioning temperatures – Grow needs cool and favorable temperatures for plants to grow properly. 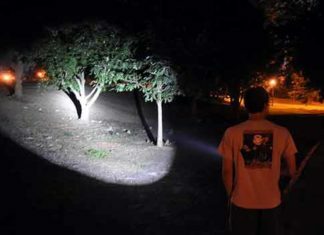 HID lighting’s emit a lot of heat which is sometimes not favorable to the plants. LED lights do not emit a lot of heat and are able to keep cool temperatures throughout. Every light spectrum has its own role. The LED grow lights come with full spectrum which are suitable and serve all the season you create. Below is what every light spectrum performs for the plants. Blue: Blue light is suitable to use for vegetative growth and helps to bring about tall and leafy plants. Red: When it comes to red light, it supports in budding and flowering. Orange/red light: LED lights with this type of illumination produces a lot of heat and it’s good to check them out. White: white lights makes your room glow and be visible. In case you only use red and blue lights, accessing your grow room might be challenging. So, the white light is advisable to be placed I the room to keep it brighter. Ultraviolet: this light is not widely used but comes in some of the LED grow lights. It is widely used by Marijuana growers as it provides a much greater potency. If you want to raise THC production, you can use ultraviolet light. How to use LED Grow Lights? Led lights work by creating light via process known as electroluminescence. This is the process where electricity passes through a semiconductor joint leading to the build of photons. If you want to get great results with LED lights, use smaller LED panels instead of big ones. For better yields, use LEDs models with a chipset of 3W. And when it comes to power consumption, search for an LED grow light with wattages of around 50 to 60 watts per square feet. 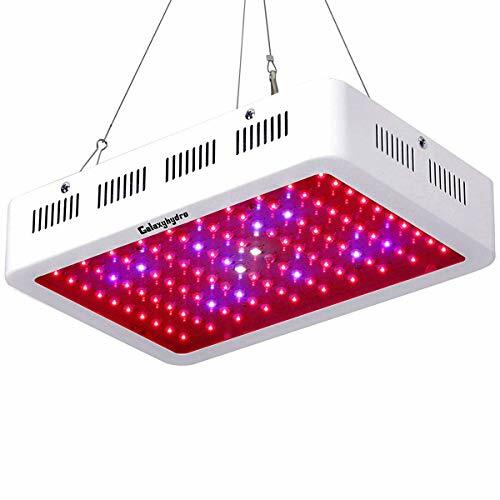 We know choosing the LED grow light can be a tricky task to both the novice and pros in picking a great hydroponic light bulb. 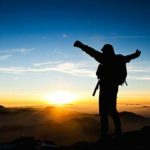 This review is created with the sole purpose of enabling you achieve success in your growth room for vegetables, flowers or even marijuana and other forms of plants you desire. After using some of the best LED lights, checking user’s reviews and researching online, this is what we consider as the best 5 LED grow lights. They come packed with great features, and function very well in helping you achieve your grow goals. 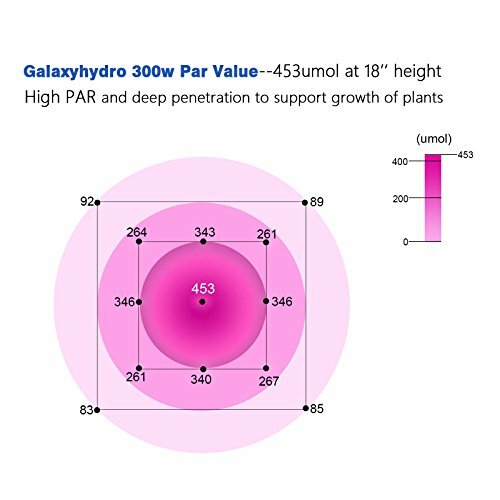 The Galaxyhydro LED grow light is a high performance light. This is why it’s the best user rating in plant germination ballast assemblies. It has 300W which is ideal to power the light to give a strong glow in your room. This LED light does heat much and you will maintain your room temperature as it has two fans to keep it cool. With 3W chipset, expect this light to produce high lumen and be very bright to light up your room well. It comes with 100pcs LEDs with the inclusion of UV and IR lights. On purchase, you are given a 2 year warranty and a money back guarantee of 30 days for all clients. It is ideal for use by growers of vegetables and flowers. It has very bright light. Has an automatic timer for easy scheduling. Comes with 300W which is the best. Saves a lot of energy. Comes with a 2 years warranty on purchase of the light. It lacks a manual switch. The Viparspectra reflector Led grow light is a highly efficient, durable and favorably priced product. This compact ad well designed LED light comes with an optimal full spectrum which is good for all stages of flowers or vegetable growth. It works very smoothly and nicely with its fan and aluminum cooling sink which ensures that heat is maintained at low to allow the plants to grow well. This highly regarded LED light consumes less power with 136 watts but produces very bright light to cover a wide area of your room. With 3 years warranty ad 30 days money back guarantee, be certain to get the best when you acquire this light. It comes with internal fans for cooling. Properly constructed with a rugged design. Has a 3 year warranty on purchase. Has a very bright light with different colors. 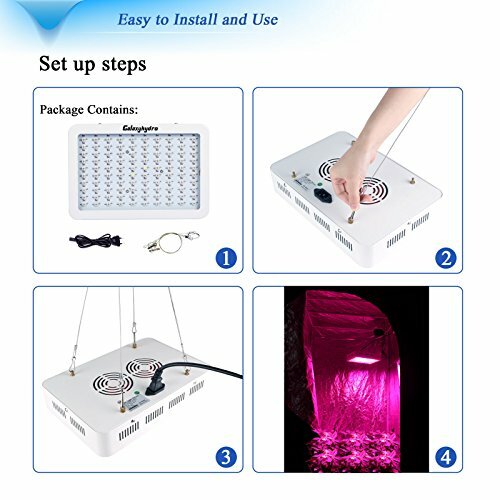 The LED grow light is very easy to use. It is said to have a lower light footprint in their grow. Light gets hotter sometimes which reduces moisture of the plants. This is one of the best LED grow lights on the market. On our list, it’s number one. 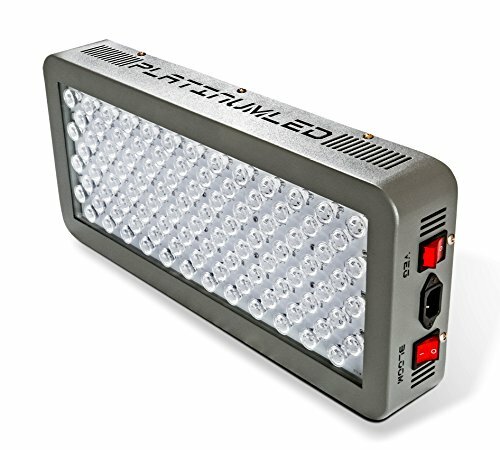 The advanced platinum series light comes with powerful features ideal for indoor growth of either vegetables, flowers or as well Cannabis. 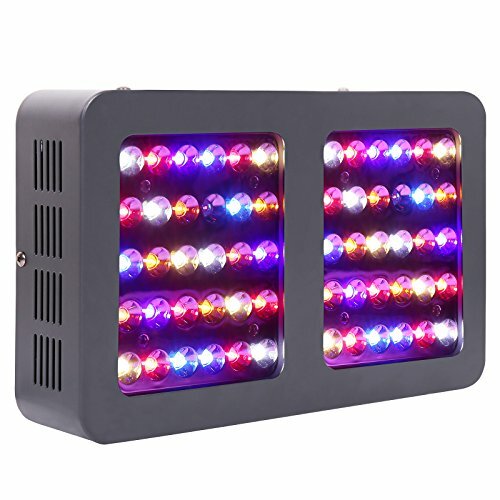 It has a superior 12 band spectrum for all growth seasons with the UV and IR lights included. In addition, it has the greatest per lumen output per watt which cannot be compared to any other LED light with an intensity of 2x-3x. Other features include the adjustable flower/vegetable switch and 400w HPS replacement. Finally, it comes with a 5 year warranty with a 90 day money back guarantee. Performs exceptionally well as it consumes only 180 watts of power. It has Zener diodes which secures it from abrupt line surges.. It has built-in fans for cooling. Has a wonderful 12 band spectrum for all the different growth stages. It comes with an excellent 5 year warranty. Has very strong lumen output than most of the other LED lights. The unit is very noisy. Doesn’t perform like a full spectrum LED grow light. 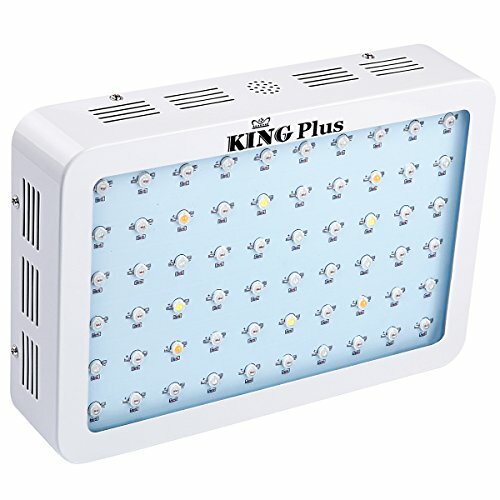 Are you a greenhouse enthusiast or Indoor grower, well King plus LED grow light will do wonders for you. This LED light can be used for all stages of growing and plants. It comes with the most current technology of double chips with 10W. This makes it to be extremely bright and consumes only 110 to 120 watts. For an even heat dissipation, it has two fans which keeps the light very cool and effective. As well, it comes with a full light spectrum of blue, red, white, yellow, UV and IR lights. Also, you get a 3 year warranty on purchase. It comes with full spectrum lighting which includes; blue, red, white, yellow, UV and IR. It consumes very little energy with only 10W. It has fans for even heat distribution. Has a thicker case for durability. The light coverage area is a bit small. Different units cannot be chained adjacent to one another. It emits a lot of heat compare to other LEDs and not good to hung lose to plants. If you want a proven and high performing LED grow light, then TaoTronics light is the best for you. It is beautiful design and compact. It consumes less power when compared to other LED lights and keeps the temperatures down. The ultra bright TaoTronics LED grow light comes with 12 LEDS and has a great wavelength of light that is fully absorbed by the plants. It is easy to use and set up with its wonderful but simple design. After buying this light, you receive 12 months warranty plus 6 after registration. It is very durable and long lasting. It uses 12 LED lights to provide sufficient light for grow. Comes with a 12 month warranty and 6 more after registration. Light is said to get dim after a certain period of application. 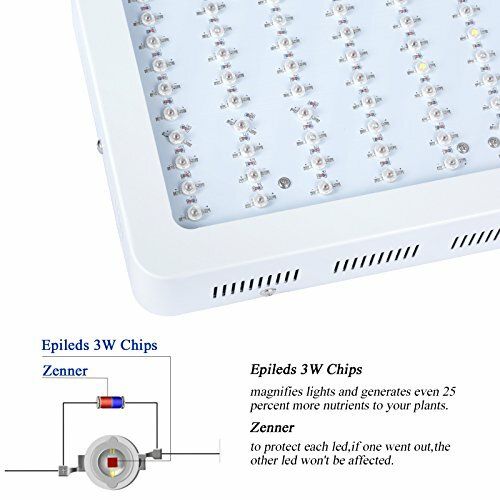 We have already fully explained to you all the requirements you need to know before acquiring your highly desired LED grow light; you can go ahead and select one from our top list or use our guideline to get the best light. If you’ve been using HID lighting or new to LED lights, be assured to get wonderful results in your grow room and higher yields when you use this led lights. They are powerful, compact, energy saving and last long. Choose an LED grow light that meets all your needs. The best Led grow lights have full spectrum and are somehow costly. If you’re on a budget, as well you will get a good LED light for your needs. Just enlist your preferred lights and start from there to grow your plant. Buts as well, understand that the expensive ones come with sophisticated features that perform better for greater yields.